You only have one chance to make a first impression. As a professional image consultant at It’s Your Image, I can help you project an impressive, confident image whenever you meet anyone. Simply allow me to become your personal shopper, and I will choose an outstanding wardrobe for you that perfects your personal image. My personal shopper fees are surprisingly economical, and I believe you will have fun on our shopping excursions. Putting together a look that maximizes your unique personal style is not easy. You will benefit tremendously with of my years of experience as a professional image consultant to find the right stores, choose the right clothes, and top off your look with the perfect accessories. I can guide you as you shop and recommend colors, textures, and fashions that enhance your particular body type and skin color. I know how to select accessories such as earrings, watches, glasses, and necklaces that compliment your wardrobe. And don’t forget about the shoes! Shopping for clothes can be fun and rewarding, especially when you master the technique of building the perfect wardrobe that makes you sparkle and shine. Working together, we can create that wardrobe in no time at all. Chat with me now to learn how! Contact It’s Your Image for more information or to schedule an appointment. Is the Personal Shopping Service for me? 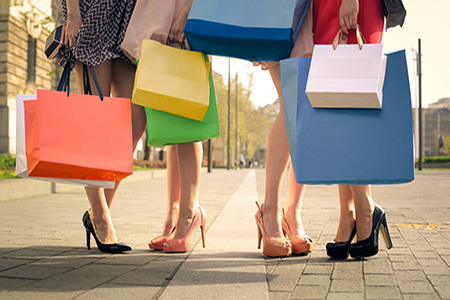 Is personal shopping for average people or just for the wealthy? This service is available to everyone no matter what your shopping budget, career or lifestyle needs. Everyone wants to feel and look their best and that’s what I help you do. Everyone enjoys making smart wardrobe choices that are within their budget that will produce a variety of coordinated looks. Everyone can benefit from the personal shopping experience. What are some of the reasons I might have for wanting to schedule a personal shopping day? There are many. Perhaps you’re in a rut, always buying the same thing and never feeling like you’re truly expressing yourself the way you’d like to. Perhaps you get overwhelmed when you walk into a store and see all the choices, you become frustrated and leave with nothing. I can help. Perhaps you have a special event or job interview coming up and you feel you need a little help. Do I choose where we shop or does the personal shopper? My goal as a personal shopper is not impose my tastes on you — that’s critical to know. Choosing where to shop is a collaborative effort. I will guide you based on your lifestyle, body shape, personal style and budget. We can shop at local stores from designer boutiques, to discount designer stores or major department store. Your needs and budget will determine the location. What if I don’t have a large budget for shopping? Part of learning to shop smart is to learn to shop on a budget. I will tailor our personal shopping experience to meet your needs and budget. Before you schedule a Personal Shopping Trip it is recommended that you schedule an appointment for a Color Analysis and/or a Wardrobe Consultation. This will give me an opportunity to understand your wardrobe needs. We will identify colors we should be shopping for and set goals we wish to accomplish when we shop together. 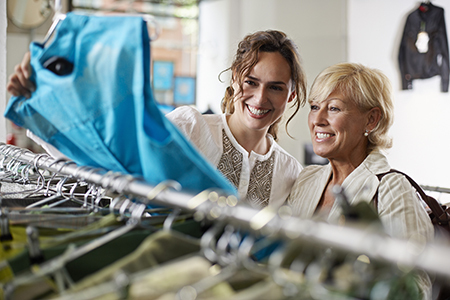 The personal shopping experience has dual benefits for you. You will learn to shop smart and identify items of clothing that are perfect for your coloring, body and lifestyle. I will help you identify line and designs in clothing that enhances your individual body type as well.